We provide analytical solutions that combine our industry domain knowledge with expertise in Technology and Operations to help the customers to effectively manage their Supply Chain Processes through improved Sourcing & Procurement, and Sales & Operations Planning (S&OP) processes. These solutions enable clients to make data-driven decisions and improve operational efficiency through accurate demand planning, minimized stock outs, optimal inventory, higher service levels, lower logistics costs and maximized throughput. We analyze large amounts of structured data (such as Financial cube data, price indices etc.) and unstructured data (such as contractual terms, invoices etc.) to generate vendor scorecards, identify opportunities for vendor consolidation and re-negotiations, and track non-compliance. We also provide commodity risk management solutions and hedging analyses to lower the risk of volatile input prices. Our integrated custom S&OP solutions built from first principles enable clients to control and customize their planning processes, and have streamlined demand planning leading in to accurate shipment forecasts and optimal inventory to meet service level benchmarks. We develop customized tools for forecasting demand using various approaches based on the client’s business operations. We employ a full range of custom modeling options and detailed diagnostic visualization tools to cater to various business needs. Context based selection of algorithms: Our tools select the most suitable forecasting technique, depending on the business context and data patterns, from a host of statistical techniques such as ARIMA, Holt-Winters exponential smoothening, generalized Cochrane-Orcutt models, Box-Jenkins models, Dynamic regression etc. Consensus forecasting: Balancing the statistical rigor with business judgment is essential to generate the final demand plan. We build-in override features on the tools that provide the flexibility to adjust/overlay statistical forecasts, allow for extrapolation of product category aggregates to SKU level data, use discrete data models for low volume data, new SKUs, new channels etc. Reporting and tracking variance: Our solutions enable clients to automatically generate out-of-sample MAPE, MAD and GMRAE statistics to measure forecast performance. It displays a comprehensive set of metrics such as error auto correlation function, correlation matrix etc. These metrics help to quickly evaluate the robustness of the forecast models. Easy integration with existing data: Our tools can import data in a variety of flexible, easy-to-create formats including Excel, text files and ODBC. We provide the ability to plug in and cleanse data generated from various ERP systems. We build robust applications which work in sync with the client’s ERP systems to develop supply plans for placing orders from suppliers’ manufacturing units or from external vendors for both raw materials and finished goods. 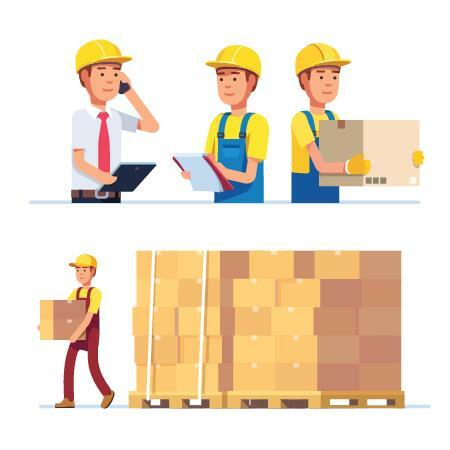 Our solutions incorporate supplier lead times, component availability, demand schedule, inventory positions, minimum order quantity, optimal order quantity and other client-specific constraints to generate an accurate order planning schedule that suits the needs of the business. Managing optimal inventory levels is a common problem area for businesses. The risk of stock-outs has to be balanced with the working capital requirements and holding costs of excess inventory. To address this problem, we use analytical techniques to help clients accurately estimate safety stock levels and optimum inventory requirements at a SKU, product group, customer and location level based on demand forecast, demand volatility, lead times, lead time variability, target service levels etc. We provide clients with a user-friendly way to estimate the safety stock, optimal inventory and track the variations in inventory levels and predict stock-outs on a daily or weekly basis. Businesses are always trying to optimize their network footprint and flow of goods and services, to reduce logistics and distribution costs. We leverage historical and forecasted flow of goods to design the optimal location network and channel for lower distribution costs. We also tap directly in to the third-party APIs of the logistics providers to model the real-time costs and provide dynamic logistical solutions. We develop analytical solutions to optimize manufacturing operations of our clients. We partner with clients to generate capacity planning models based on demand forecast and inventory benchmark, identify capacity bottlenecks through OEE modeling and plan production schedules. Our analyses enable our manufacturing clients to increase capacity utilization and plan capital expenditures.